Do you need some fresh new ideas or tips to boost your Facebook activity and engage with your clients? Check out these easy and fun Facebook activities that will help grow your ‘likes’ with your clients ready in time for the Christmas rush and the holiday season. Get your most tech savvy team member to be in charge of your Facebook page to make sure that on a daily basis you’re posting your latest specials, new products, monitoring competitions and keeping your clients up to date about and everything else that’s happening in the salon. It’s easy for you to maintain oversight, by checking out your admin page regularly. Email or text your entire database to let your clients know you have Facebook and give them a reason to ‘like’ your Facebook page. Place a beautiful photo frame on each work station letting your clients know you have a “Facebook page” along with an incentive to get clients to join right away via their mobile devices. 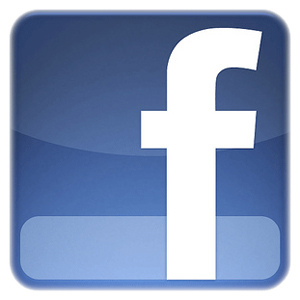 Most people these days have a smartphone so, if your clients have a Facebook account, its right at their finger tips. This one can be held in various ways, you could ask you clients to upload their photos with your products, or a photo of their hair, nails, or makeup after receiving their treatment. Make sure you like other fashion and beauty pages. When your clients go to other pages they will see that your salon has liked it too. The more you expose your Facebook page the higher chance you’ll be seen. Remember to keep incentives simple. With all competitions make sure you understand your clients – people visit Facebook to connect with friends, view photos, play games and follow business they love. Your contest needs to be quick and easy to complete. Remember: whether you email or text your clients, use your clients preferred method of contact. That way, your chances of reaching them are higher.